Air travels into and out the lungs by bronchial tubes known as airways; people who are asthmatic suffer from inflamed airways which become swollen and sensitive. The airways will react strongly to certain substances that are breathed in and this causes the surrounding muscles to tighten and the airways to narrow. Narrowing of the airways restrict air flow to the lung, worsen the swelling and lead to more narrowing. Asthma causes a wheezing during breathing, chest tightness, shortness of breath, and coughing. The coughing often occurs at night or early in the morning. Asthma can affect anyone but it often starts in childhood. 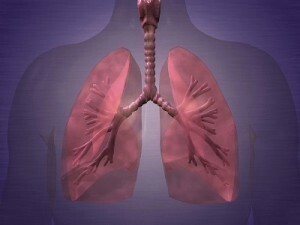 Symptoms are usually started or “triggered” by something that bothers the lungs (asthma triggers). Asthma trigger can be viruses, allergies gases or particles in the air. Chamomile tea is an herbal remedy recommended for asthma. Extracts from chamomile contain some terpenoids can act as anti-inflammatory triggers and prevent bronchial problems. Chamomile also contain anti-oxidants; when taken as tea, chamomile has been found to be more effective in treating asthma than anti-histamine medications. Astragualus is a native plant of Asia and is popular in Chinese medicine because it helps in reinforcing the human immune system in its fight against pathogens (respiratory). It also has anti-bacterial and anti-inflammatory properties which help in preventing allergies from triggering an attack of asthma. Garlic is an effective herbal treatment for curing asthma. Garlic has been used to relieve symptoms like coughs, chest congestion and sore throats. Add garlic cloves to milk and boil, strain garlic from mixture and drink warm when an attack is about to happen. Mustard oil is seen as a natural cure for asthma. For best result mix the oil with camphor and apply to the chest. This remedy helps to relieve breathing difficulties in asthmatics by loosening the buildup of phlegm. Ginger is the most widely used and available herbal remedy. A cup of ginger tea can prove to be effective in treating asthma when as it is consumed twice in a day. Its main benefits are to relieve the symptoms of asthma and it is also useful in allergies. An alcohol-based tincture can also be used as an alternative to the tea. 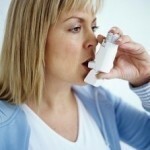 Stress may trigger asthma symptoms. Breathing exercises used in yoga have been found to help some people with asthma control breathing and relieve stress.